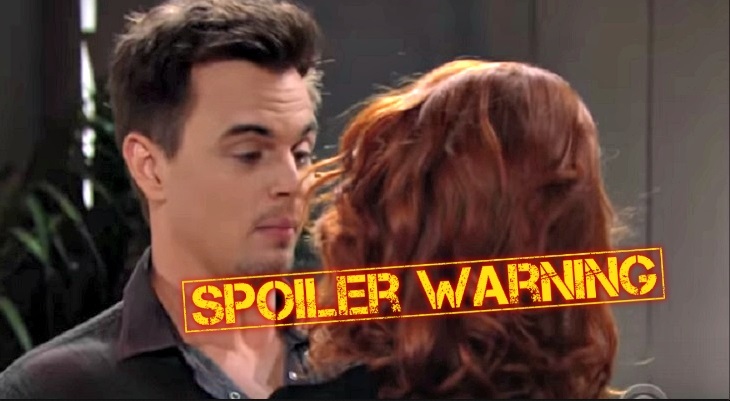 “The Bold and the Beautiful” (BB) spoilers for Thursday, October 4, 2018 tease that we will have a day filled with celebrations, relationship advice, and let’s not forget plenty of drama. You will not want to miss a moment of the action! Sally Spectra (Courtney Hope) celebrates the success of her first photoshoot by modeling a private showing for Wyatt Spencer (Darin Brooks). Sally will be celebrating a job well done especially after Ridge Forrester (Thorsten Kaye) really liked her designs. She and Wyatt will heat things up. Are you B&B fans liking these two as couple? Do you think they have great chemistry? Meanwhile, Emma Barber (Nia Sioux) receives relationship advice and a warning about not allowing the past to repeat itself. Emma will have a chat with her best friend, Tiffany (Maile Brady). Tiffany will warn Emma that she needs to get herself in check. Emma will realize what she is saying is right and will try to make amends. We will get more of a feel of Emma Barber’s past as she vents to her best friend Tiffany. We will learn why she acts the way she does. She will realize she better dial back her jealousy before she ruins another great relationship. Do you think Xander Avant (Adian Bradley) will be forgiving of her?